Owner Meg Rydzewski wrote in a Facebook post that the shop, located at 3315 Lee Highway in the Lee Centre strip mall, will shutter permanently sometime in late December. 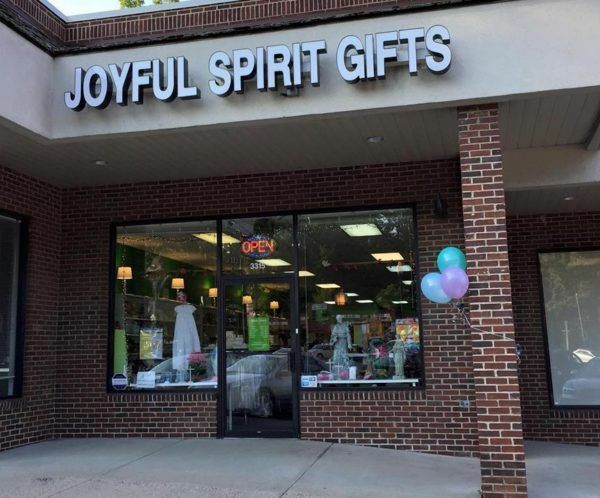 The Joyful Spirits Gifts Catholic store in Cherrydale is now set to close by the end of the year. In the post, Rydzewski noted that the store “has faced a steep decline in sales in the last few months,” a development she attributes to the latest sexual abuse scandal to rock the Catholic Church. A Pennsylvania grand jury report released this summer revealed extensive allegations of child abuse against priests in six different Catholic dioceses, which eventually led to the resignation of Cardinal Donald Wuerl, the head of the Archdiocese of Washington, among other church leaders. Rydzewski added that she marked down all the store’s wares by 30 percent at the start of this month. By Saturday (Dec. 1), everything in the store will be 50 percent off, and, by Dec. 15, everything will be marked down by 80 percent. Rydzewski, a published novelist who lives in Arlington, opened the store in September 2014, offering everything from books to baptism and communion gowns. She expressed her “immense gratitude” to patrons over the years in the post.